Hi, I'm welcome to episode number 141. 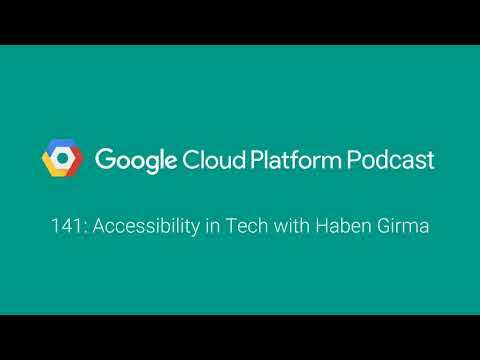 Of the weekly Google cloud platform podcast, I'm Mok Mandal and I'm here with my colleague Melanie Warrick how you doing Melanie so, yeah it's good to be back in the studio and this, week we're gonna be talking with haben, Girma who. Is here to talk to us about accessibility, intact, Thank You Melanie for setting this up it was a really great interview I'm a little bit of a fan girl of hers because I saw her speak and it just blew me away and so I was really thrilled that she not, only came out to speak at next, that she also had time to come and join us while we were recording there, so that absolutely absolutely. So before, we get to the interview as always we're going to start with our cool things the week in it with our question of the week and this week's question mark, has been able to find for us which is going to be how. Do I perform large-scale, mutations. In bigquery yes, which, is a good question is a good question because you put a lot of data in bigquery you do and, in order to make any type of deleting. Or anything that's going to be mutating, there are some limits so it helps give an understanding, of what this limits are but we'll get to that later so, let's get started with our cool things of the week you want to kick it off I want to kick it off why not so I think it's worth noting that sto, the, service. Mesh basically. They, for, collecting, logs traces, telemetry security, and policy for distributed, applications, basically it's, the bit that sits between all the services the way I like to think about it it went 1.0, recently so, it's declared, ready for production so. If you've been looking at e c.o you've been holding off a little bit because it hasn't even hit 1.0 it is now hit 1.0 so you can definitely check it out there's a lot of interest, and popularity. Or honest oh you know one of our colleagues Kelsey Hightower talks a lot about it yes great we're, probably also mentioned that we also have announced, the alpha release of managed SEO as well so definitely keep an eye out for that - cool, we'll probably talk about that more when beta comes another. Thing that we want to talk about is that google has been doing this effort to make Wi-Fi. Available in different regions around the world and so one of those areas in particular they're, doing Google Station which is providing high quality Wi-Fi. Hotspots, across Nigeria, the goal is that they want to roll out 200, locations in five cities by the end of 2019 and, hopefully, bringing this to millions of people which is something that they've been working on for a while now in other countries, like, India Indonesia Thailand. And Mexico well, include a link as always into the show notes and people can check that out and see you know what the effort looks like what the timeline, is and some additional insights around what's being provided yeah I'm really excited about this a while ago episode 17, actually, we did a interview with here in Patel and dal Humvee in Africa, talking about some of the the issues of the challenges, they face around, infrastructure and how reliable it is in that region so super, happy to see this also like coupling that with some of the stuff that's been going on like Google Co Maps, Co YouTube, go basically these applications, that are designed to improve the experience when there's an unstable or slower Network I think these are really great endeavors, agreed, just, access to information this is very important I know one, of the stats they mentioned in the blog is like only 35% of Africans have access to the web so yeah this is great so another cool thing the week I think mark you wanted to talk about intelligent, yeah big fan of IntelliJ, been using IntelliJ for a long time this is very specific for those Java users that exist out there but, the Google cloud tools for, IntelliJ, plug-in, being, able to access services directly. From your IntelliJ IDE I thought this was kind of neat it is neat it is neat so they have an example in here of actually calling the translate API directly. From, the IntelliJ IDE and there are tools in there so you can authenticate so, like you know who your account is and you can set up which project you want which means if you want to test out these kind of services give them a bit of a demo give them a bit of a spin and see how they work out it's, very easy to do from within the IDE so, yeah, I love IntelliJ, I don't actually use it for job very much but for those of you who do this probably, would be very useful agreed, very much so well mark I think it's time for us to go speak with Hamid let's do it today, we, are happy to have with us haben. Girma, She. This morning did talk, where we're doing this recording at next and she just talked this morning on accessibility, in text so haben thank you so much for joining us. Absolutely. Thanks for having me here Melanie. And, hi mark, hi, before. We get started today and talk about accessibility, in tech can, you tell us about you, and what do you do my name is haben Girma and, I'm a disability, rights advocate. I teach, individuals, and organizations, how, did, with access, in mind one. Of the reasons I do this is because I myself have, a disability. I'm deafblind. I have limited vision and hearing there. Are always alternative. Techniques, for accessing, information, and I've, been successful. Because I found lots of alternative, techniques, and I. Found communities. That value, alternative. Techniques, for. Example, during this podcast, as. Melanie. Or Marc speak their words are being transcribed, and, output. Into digital Braille and I'm, feeling, their, words in, digital, Braille and then responding. My voice and this, technology, is an example of an alternative, technique and people. With disabilities, have lots of different tools and solutions that means what. Drove, you to become, a speaker, and, a driven. Advocate, on this topic. Disability. Has, the potential, to be an opportunity, for innovation and. A lot of people don't know that and, I'm really passionate about, teaching, organizations. Especially. Those who focus on designing technology. To. Think of disability, as an opportunity, for innovation, for, example. Email. Vint. Cerf one of the founders, of the internet helped. Develop drone in the earliest email, protocols, and this, was back before the. Internet existed, as we know it today back. Before Dopp, individuals. Had a good tool for communicating. Long distance, because, we didn't have good access to the telephone email. Wasn't, we need to communicate long, distance, and you. Could understand. A message without struggling, tier, nowadays. Lots of people use email, hearing. People deaf, people, and a. Lot of the challenges, people with disabilities, face from, communication. To accessing, print when. You look. For a solution you'll. End up finding, a solution that. Not only helps, people with disabilities but. Helps, the greater population and, becomes the next big thing so, there, are lots of hidden stories, out there that people don't know about and, I'm, excited to teach people these stories, to, them more designers, developers. People. Who are in work in the fields or technology, can, start investing. In accessibility, that's. So great and we, actually have a podcast on, Vint Cerf so it's funny that you mentioned him excellent. I didn't know you dude, that's, that's perfect I know he's here at Google right yes yes, so. You talked, a lot about tech accessibility. How do you define, that. Accessibility. Needs. Lots of different things the, goal is to reach, as many people as possible to. Build one, product, one app when, website that, the maximum. Number of people can use and, they're different elements, to accessibility, there's. Visual, accessibility. Making, sure blind people can access the service the web content accessibility guidelines. Helps. Teach how. To make websites accessible for. Apps there's. Android, accessibility, guidelines, and for, iOS there's Apple. Accessibility. Guidelines, so. If you're making something, make, sure you follow the accessibility, guidelines so, that it's accessible to. The blind community, for. The deaf community the, big thing is captions. Making. Sure videos, have captions so. That deaf individuals, can access the audio content, or for. Podcasts. Including. Transcripts. So, that people can access the contents, of the podcast those. Are some examples, but, it's not the limit, there, are lots of accessibility, features that are waiting to be built and if, we keep innovating, we'll come up with new solutions. That'll Make even more things accessible. Self-driving. Cars, a lot, of people with disabilities, are excited. About self-driving. Cars we're. Also worried, that we won't be able to use them so, we're we're hopeful, that they'll be designed, with access, in mind and future. Technologies will. Be designed with access in mind so, lots of people can use them when. I saw you speak at black, and AI what. Resonated. The most with me was your point about how, it should be one technology. For everyone not, multiple. And that also goes to what you're saying right now did you want to talk through a little bit about that point that's a great point. Some. People, when they think about accessibility they. Think of a separate, special, service, so, a separate. App for, people with disabilities a separate, website for people with disabilities. Separate. Is never equal you. Might start, out with good intentions, and intend. For the two services to be equal but, down the line but. One, for people with disabilities, won't, get updated, as often it. Won't have all the features and it. Just becomes, inferior. Separate. Is never equal, instead. What we want is one service, one. App designed. For everyone, to use it it becomes easier for everyone and some. Designers. Immediately. Think, of design problems. Because. They're not used to thinking about accessibility. Constraints. Often. 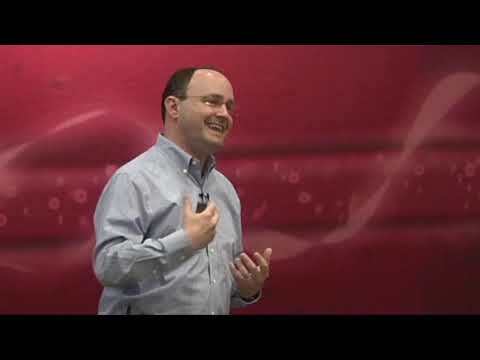 Spark, innovation and, spark new ways of doing things if, you're not sure how to do something. Google, has an accessibility team so folks, here can ask people about accessibility, reach out to the accessibility, team or reach, out to disability, organizations. There, are lots of organizations, in the Bay Area there's, the Saint Francisco Lighthouse, for the Blind. Nationally. National, Federation of, the blind or, for. Top services, National, Association of, the Deaf ask. Questions. Reached out to the communities, don't. Make assumptions what, challenges, do you normally see from companies who are potentially, looking to become more accessible but, haven't quite got there yet a challenge. People, often, cite is. Resources. And people. Often. Say that accessibility, is too expensive, people. Who say that are usually. Jumping. To conclusions, and making assumptions, without. Doing, the research I will, say that it does take more resources, to try to make something accessible, later. In, the stage of development rather. Than thinking about accessibility from, the start, for. Example if, somebody, builds. A skyscraper. And then, after, they finished building it realized wait we, forgot elevators. And then, they have to tear down part, of the building to add in elevators. That is, more costly, and time-consuming. Compared. To building, an elevator from the start, same. Concept it's. Easier. To make something accessible if, you plan for accessibility. From the start as, you're designing the product or service and if people have more questions you. Can ask lots. Of organizations. And lots of free resources online, for. Designing excessively, what, are some of the subtle biases that you've seen in their work and the research that you've done one. By, is the assumption, that, the. Disability market is, very small, and, it's. A charitable, thing to, design, for accessibility, it's. Something, to do for, charity, and people. Don't realize, that the disability, market is very large there. Are 1.3. Billion people with disabilities, around the world in the, u.s. 57. Million Americans, with disabilities, but. The large market, so, if you make your services, accessible you, get to tap into that large market, which, means more revenue more. Business, opportunities. So. It's good business to, invest in accessibility. Stop. Thinking about it it's charity it's not charity it's. A great business opportunity have, you've got any great. Examples, where you've seen accessibility, done really well one. Classic, example. City. Of Berkeley once. Upon a time the. City of Berkeley did. Not have accessible, sidewalks and. Advocates. Complained. And. Advocated. To have full access to the sidewalks, and Berkeley. Put, in curb, cuts so. That wheelchair, users. Can, go, on and, off the sidewalk, and travel. Freely throughout, Berkeley, leader. Parents, with strollers took, advantage of the curb cuts and they found that they could push their their toddlers, in strollers, on, and off very easily. Workers. Pushing. Things on wheels, travelers. With, luggage, kids. With rollerblades. Lots. Of People ended up benefiting from, these curb cuts and this. Concept. Of a disability. Accessibility, feature. Benefiting. The entire community is, now, called the curb cut effect, and. You see it in lots of different areas, lots. Of people use elevators. And it, benefits lots of people cap. Benefit. Deaf people, but, captions, also benefit, hearing, people as well sometimes. Hearing. People, are in noisy, settings, and they. Can't quite hear what's going on on their video so. They'll turn on captions so, they can fully understand, what's going on in the video or maybe, they don't want to maybe, they don't want other people to know they're watching a video and they want to be sneaky. So, they'll turn off the audio and, turn on captions a marketing. Study my facebook found that. Adding. Captions, to. Videos. Increases. View time on average, of about twelve percent so. Lots, of benefits, to including, captions. Curb. Kind of factors you, see it in lots of different places I love. Captions, I use them they're very helpful for me actually exactly, what about you mark do you use captions I don't, my wife definitely does that they're. Very helpful yeah I know you gave us some great recommendations. On resources. Are there any additional, resources that you would recommend for developers, and designers to improve accessibility design. I wanna. Repeat, again that there are Android, accessibility guidelines. For developers, tap, into those and look into that and for. Websites web content, accessibility guidelines. If you're, still not sure there, are lots of online resources, you. Can check in with the San Francisco Lighthouse for the Blind you, can check in with the National Federation of, the blind and, there. Are also accessibility. Consultants, you can connect with you're, welcome, to reach out to me again. My name is haben Girma and, my, website, is haben Girma calm, thank. You I have, an eye one, thing I want to leave on or at least one of the last things I want to ask is you did this wonderful talk, earlier, today can. You share with our audience a, few of the key, takeaways that you shared, with the audience here the, key takeaway from my talk this morning is that all, the barriers, that exist are created, by people they're arbitrary, they're. Not necessary, at all, disability. For example is, never, a barrier, the, barriers, created, are created, by people and one. Example idea is how. Harvard. Once upon a time used. To deny access to woman. Helen. Keller when she was looking for colleges to attend couldn't. Attend Harvard back. Then Harvard. Only valued, men and Harvard. Wouldn't, admit women. Over. Time. Harvard, change. Society. Changed. And now. Harvard, has, opened its doors to women people, of color and, people with disabilities. So. The barriers that exist, are created, by society, not. Disability. And, as. Developers you, have the power to create tools, and, solutions. That, help people rather, than creating, barriers so. This we're at a technology, conference here, at next is there any particular technological. Technological. Advances, that you've seen that. You, think are gonna break down barriers in the future for people with different abilities. Self-driving. Cars, have, the potential to break down barriers, if, they're, designed, to be accessible. Well. Wheelchair. Users, be able to get in and out of these cars independently. Will. Blind people, be able to drive these cars independently. How. About someone with arthritis. So. It really depends, on how they're designed we're. Excited, but we're also worried, so. Please. Don't disappoint, us I think, that's a wonderful point well Kevin, thank you so, much for taking the time to come and chat with us we really appreciate it, yes. Thank you so much you're. Very welcome. Thanks Melanie and Mark and thank. You again humming for coming on the podcast yeah we really enjoyed having that interview for sure yeah and thanks, as well to her translator for coming and spending the time with us as well and making that whole thing possible agreed, well, mark question, of the week yes how, do I perform large-scale, mutations. In bigquery this is an interesting question I don't actually work personally with bigquery that often so I learned a whole bunch of stuff looking at this today there. 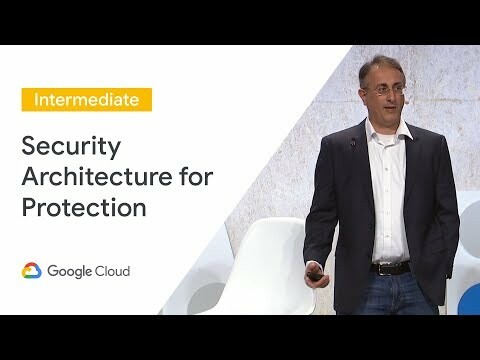 Is a blog post that talks all about it strangely enough which is why I ended, up learning about it which is lovely so bigquery you know it's our big data query, system where you massive, amounts of data querying, over very, large datasets terabytes, petabytes of data but, sometimes you want to edit that data maybe it went in wrong maybe you want to change it maybe you want to delete some for archive purposes all that kind of good stuff so bigquery, does, have a data manipulation, language that, you can use for like select statements merge statements, update statements acceptor et cetera but the limit that you will hit is that there are quotas, about the frequency, of mutation, that you can make over the tables that you have this, is basically because we do store lots and lots and lots of data and we do very special things to do it essentially so maximum, number of combined update delete and merge statements per day per table is about 200, the maximum number of combined, update delete and merge diamonds per day per project is about 10,000 you can definitely make updates and there's no limit the amount of size of data that you manipulate when you do those manipulations so, like a common scenario might. Be where you might want to update existing data based on new information coming, in through on a periodic basis just, be aware of those, sort of limitations, so maybe you want to do that sort of once a day over the entire data set if you can rather than doing multiple times per day just. Keep those limitations in mind that will link to the article which has other links, to other articles around like what the quotas are unlike, what's available and what's not but yeah as long as you keep in mind those quarters you should be good to go agreed, everything, that's going on with data in general this is a key, thing to be able to work through check out that link alright mark where, are you going to be I'm, gonna be at pax dev and packs west so pax dev will be starting August 28th so, I should really put my flights I will, be talking about a ghana's at PAX, dev and then hanging out with PAX West with all my game and friends and cosplaying friends and all the other good stuff Melanie. Where Are you gonna be what are you up to so as we speak I'm actually in Vegas at all the security conference. And, besides and black hat and all that this is my first time and this is interesting, I'm, excited for you yes me too cool, good outside, of that I think that's, most of the conference's for me right now which is great that is great I should mention I will also be at Tokyo next in September that'll be the thing I'm doing afterwards so that'll be awesome as well and I actually, since you're gonna bring up September will be at deep learning in Taba in South, Africa in September sweet fantastic, well Melanie, thank, you again refer, to joining me for yet another episode of the podcast thank, you thank, you all for listening and we'll see you all next week.